The FortiGate-300C multi-threat security appliance delivers proven, consolidated security at switching speeds. 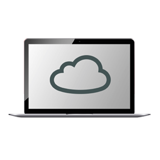 Its enterprise-grade performance and no per-user pricing make it ideal for mid-sized organizations and branch office locations of large enterprises. 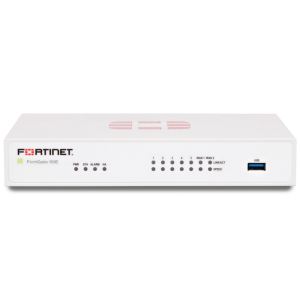 The highly versatile FortiGate-300C features one of the highest port densities and price/performance ratios of any product in its class to deliver advanced firewall, VPN, application control and intrusion prevention system functionality in a single appliance. The FortiGate-300C appliance integrates two purpose-built security processing ASICs to provide the high-performance protection you need in your network. 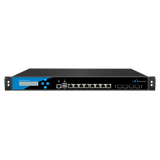 The FortiASIC™ Network Processor provides acceleration for firewall, VPN and heuristic packet scanning. The FortiASIC Content Processor provides additional acceleration for content intensive security technologies such as application control, intrusion prevention and antivirus scanning. The FortiGate-300C appliance's eight hardware-accelerated interfaces and additional two non-accelerated WAN ports enable you to enforce policies between network segmentation points for increased security, while preserving switch-like performance. The appliance's included storage provides localized event logging, content archiving, or WAN optimization. The FortiGate-300C appliance enables you to create multiple security zones for various departments, users, access methods and devices, to enforce your critical network security at accelerated speeds. ASIC-acceleration delivers wire-speed firewall, near wire-speed IPSec VPN performance, application control and superior IPS and antimalware operation. Integrated multi-threat security features provide the ability to augment existing systems or replace aging security infrastructures, increasing security while protecting the value of your investments. Internal network security segmentation delivers increased security, with security event isolation and greater network visibility. Available integration with FortiManager and FortiAnalyzer appliances lowers your operating expenses by simplifying security management, reporting and analysis. FortiGuard Subscription Services deliver automated, real-time, up-to-date protection against emerging security threats and exploits.